When you’re caring for someone, they need special things at specific times – medicine, for example. So your shopping takes on a new importance. 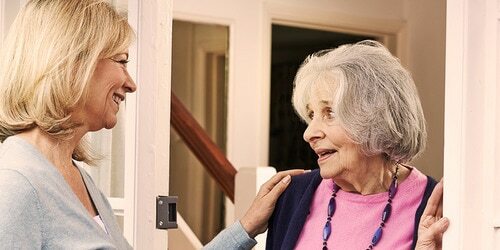 To make sure your home is well stocked with the things your loved one needs, it’s essential to plan. 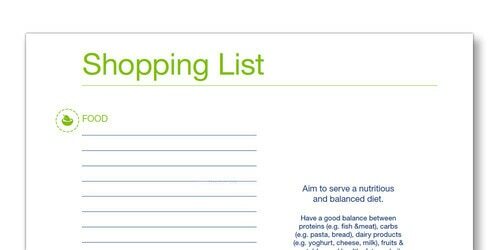 > Download this free shopping list template (PDF). Sit down with your loved one and write a list of the things they need on a daily basis. Consider more than just food. Go through all categories of products. 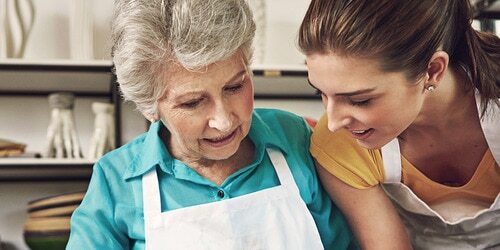 Think about medication, hygiene, incontinence protection, home and living aids, and any other things your loved one might need or want. Listen carefully to her/him. Their needs might be different from what you expect. Later, go through the list with them to see if you’ve forgotten anything. Your final list should include products your loved one wants. 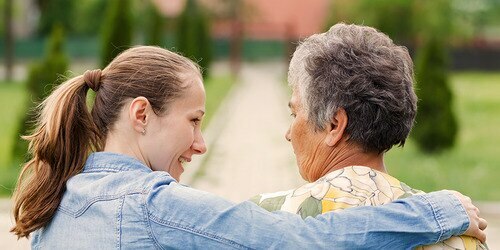 And things you know you’ll need to do a good job as a caregiver. Planning your shopping like this can save you a lot of stress, time and money. Collect all prescriptions, medication information and dosage instructions from your loved one’s doctor. Consulting these will help you accurately plan how you buy their medications. How many or much of these products you need to buy depends on your loved one’s condition. So, before putting any on your shopping list, think of how often you’ll have to wash or change your loved one. Figure out the overall weekly/monthly usage, then put those amounts on your list. Remember, you can never have too many hygiene products at home. Try to keep a reserve supply for emergencies. > Download TENAs Shopping list template (PDF). Atsisiųskite nemokamą TENA pirkinių sąrašo šabloną. Dažniausiai užduodami klausimai apie slaugą namuose. Paprastas vadovas, kaip sudaryti slaugymo užduočių planą.